We are aware of some ongoing hat tagging issues, specifically regarding Gatehouse’s HS1 hats, which are manufactured to the standard SNELL E2001. We would appreciate it if this information could be passed to all hat taggers within your Branch or Centre. On HS1 hats the SNELL E2001 logo can be found either printed on OR under the crown padded liner. The SNELL E2001 logo on newer versions of these hats will be found printed under the crown padded liner. If there doesn’t appear to be a SNELL E2001 logo printed on the liner then please check underneath the liner as well. The Member’s name and address. SNELL E2001 is recognised by The Pony Club as an appropriate hat standard. It is planned to be accepted beyond January 2016 and so can be tagged with one of the new white hat tags. Over the recent months there has been a lot of speculation and confusion as to what safety standards will be acceptable to compete in over the next few years. We have put together the below spec sheet that shows you the organisation and the standard they will accept in each year, hopefully this makes it clearer for everyone. British Dressage allows EN1384 hats for 1 year longer! Following the announcement in December by the EU Commission that the BS/EN1384 hat standard has been withdrawn, British Dressage has decided to revise its approach to the removal of the standard. Hats with the BS/EN1384 standard will continue to be permitted for use in British Dressage Competitions throughout 2015 and 2016. British Dressage will still be removing the BS/EN1384 from the list of recommended standards from the 1stJanuary 2017, but will allow the BS/EN1384 standard to be worn until at least January 2017, this may even be extended depending on the publication of the new harmonised European standard, the date for which has yet to be confirmed. The EU Commission has announced that the European Equestrian Riding Helmet standard (BS)EN 1384 is to be withdrawn from the Official Journal of the European Union (OJ) at its next publication. This means that hat manufacturers will no longer be able to CE-mark their hats using this standard and will need to recertify to another specification or the new interim standard VG1. The withdrawal of the standard has no effect on riding hats already on the market. Once a hat has been manufactured to a standard, it will not become "non-standard" after withdrawal and can continue to be sold and worn. If riders have hats certified to EN 1384, they can continue to use them unless stated otherwise by rules of competition. The existing EN 1384 standard is currently in the process of revision. The withdrawal is due in part to the European working group responsible for the hat standard failing to reach an agreement on this overdue revision and subsequently causing the commission to take this drastic step. The draft proposal for the revision to EN 1384 has to go through the laborious procedure of comment and review, and it is still unclear when the final version will be published. An interim specification has been published by a group of EU test houses and notified bodies (VG1) that will span the gap with a new specification. We expect to have this confirmed within the next few days. In future, CE-marked riding hats will have to be successfully tested and certified against an alternative specification to allow CE certification to continue. Companies can choose which they use and could include the new VG1 specification, the revised EN 1384 once published and PAS 015 or Snell with additional testing. The EN 1384 and thus the BS EN 1384 specifications have proved to be a popular standard throughout Europe, with wide appeal and have saved many riders from head injury or death. Although initially being promised a period of transition by the Department for Business, Innovation and Skills (BIS), the industry has now received news that this option has been retracted. This means that manufacturers will need to re-certify their (BS)EN 1384 hats to the revised specification sooner than anticipated. As a result of these recent changes, the disciplines and riding bodies within the UK will be reconsidering their hat rules for the future. Full details of the changes currently available are listed below. Please note that where EN1384 is referred to this will impact upon hats that only meet that standard. Where hates are dual badged (ie. (BS)EN1384 with another standard such as Snell or PAS 015) then the hat will continue to be legal in competition.  British Eventing - British Eventing will permit (BS)EN1384 hats in 2015 but not thereafter. Riding Clubs– British Riding Clubs will permit (BS)EN1384 hats in 2015 but not thereafter. British Horse Society – will permit (BS)EN1384 hats in 2015 but not thereafter. From 1.1.2016 hats made solely to (BS)EN1384 will not be permitted for use in BHS Approved Centres. 1. Why has the 1384 standard been withdrawn? Safety standards, including 1384, are typically revised every 5 years, but not every revision results in significant changes. The review process for 1384 was underway for some years, but a deemed lack of progress towards consensus on whether the standard should be changed has led to the unfortunate situation where the standard has instead been withdrawn completely. 2. Is my 1384 standard hat still safe? Absolutely, assuming it is fitted correctly and has not suffered any impact or other damage, just as would be the case with any other hat conforming to another standard. Hats certified to 1384 have lessened injuries and saved countless lives over many years. The protection offered by 1384 has not changed. When used and fitted correctly, (BS) EN1384 hats will continue to be as protective as they have been for the best part of 20 years, since the standard first appeared. 3. Why is my local tack shop still selling 1384 hats if the standard has been withdrawn? 1384 hats can still be sold, purchased and worn because at the time they were made, they met a perfectly good, certified standard. The only change is that manufacturers will need to use a new standard to test their current 1384 models against when producing new batches of the same hats in the future. Some hats will stay the same, others will need to be changed in order to meet the newer, revised specification. The standard number will also probably be different in the future. Leisure riders can continue to wear and enjoy the protection offered by 1384 hats for many years to come. 4. I compete in affiliated competitions and my hat is the 1384 standard. Will I need to get a new hat? This depends upon your particular club’s rules. You may need to purchase a new hat over the next year or two. Many rule books are still being discussed and rules revised, so the best thing to do is contact the discipline or organisation within which you compete to determine whether the 1384 standard is permitted under their rules beyond 2015. If 1384 is not allowed for competitions, you will need to purchase a new hat to meet the rules of competition but you can of course still wear your 1384 hat outside of competitions. 5. Does this change mean I will have to buy a new hat even if I don’t compete? If you do not compete in any competitions then if your hat meets the 1384 standard you do not need to purchase a new hat unless you have sustained an impact on it when riding or if it doesn’t fit you anymore. You can still continue to wear your 1384 hat and even purchase a new replacement 1384, should you need to, while they remain available through retailers. We estimate that there are approximately 1.6 million regular riders who do not have to comply with competition rules so will not be affected by any changes by riding organisations. 1384 hats tend to be slimmer in profile, more lightweight and often more ventilated than other hats, so you can continue to enjoy the protection and comfort they offer. 6. My hat has two standards on the label, one of which is 1384. Is this ok to use for competitions? Yes, provided that the other standard is approved by your riding organisation. If the hat has1384 plus PAS015, Snell or ASTM F1163then current information is that it will not be affected by the change. You do however need to check with your discipline as those such as Pony Club who also require a quality mark will accept the PAS015 and the Snell but not the ASTM. 7. I only bought my 1384 hat recently from my local retailer and I wasn’t made aware that I would no longer be able to use it in competition. Can I get my money back? On average most people replace their hats every 2 years. Which, given the gravity of the job that your hat does, and the amount of wear and tear on it, is quite a small investment in keeping your head as safe as possible. If you purchased a 1384 hat recently and only ride in competitions then you may need to replace your hat in 2016, which would give you at least another year’s wear. So you cannot expect a refund, because the retailer sold you the hat in good faith at a time when the 1384 standard was accepted and in full use. Riding organisations usually give plenty of notice when changing their rules but some have made late decisions on changes that neither retailers nor manufacturers were told about until very recently. From now on, retailers can continue to sell 1384 hats whilst they have them in stock, but riders need to check with their own organisations before they buy a new hat for competition use. So it is the riders’ choice which style and standard they choose to buy based on the latest information and what purpose they wish to use the hat for. 8. Surely this is just a money making scheme on the part of the retailers and manufacturers? Absolutely not. Any safety developments are always made with the consumer in mind and there is only a small proportion of horse riders that will be affected by the rule and be required to purchase a new hat in the next year or two to use in competitions. Manufacturers will incur large costs having their hats retested to a new standard, though it is likely that the majority, of 1384 hats will pass the new standard when it is detailed in the future. 9. Where do I go to find out more information about the situation? BETA will be issuing advice to riding groups and the equestrian press, and will have a Q&A for riders on the BETA website shortly. Many manufacturers, such as Champion and Gatehouse are issuing guidance and your competition organisation will also be able to advise you if you have any further questions.